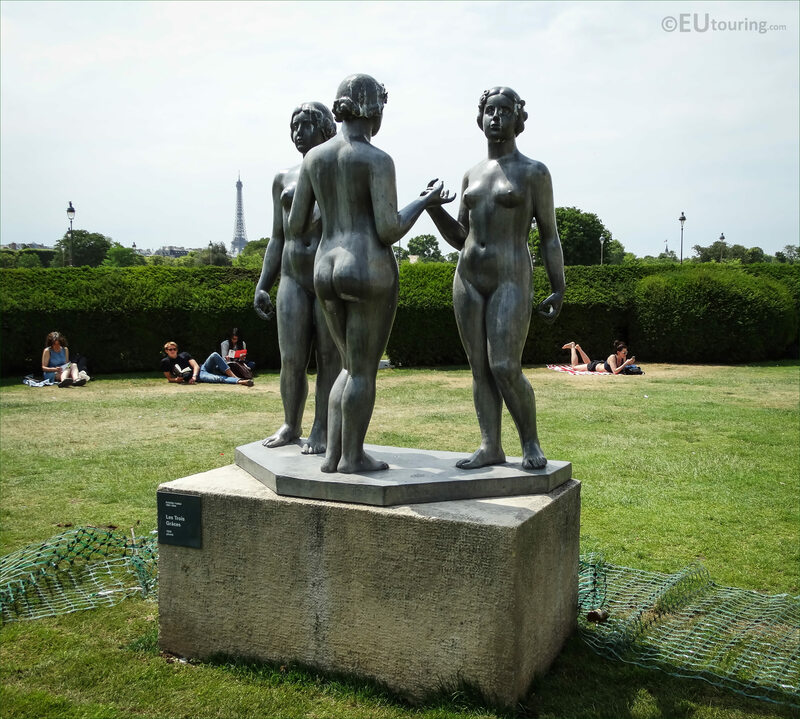 This time we were within the Jardin des Tuileries within the 1st Arrondissement of Paris, in an area called the Jardin du Carrousel, when we took these high definition photos of a statue designed by Aristide Maillol, which is called Les Trois Graces. 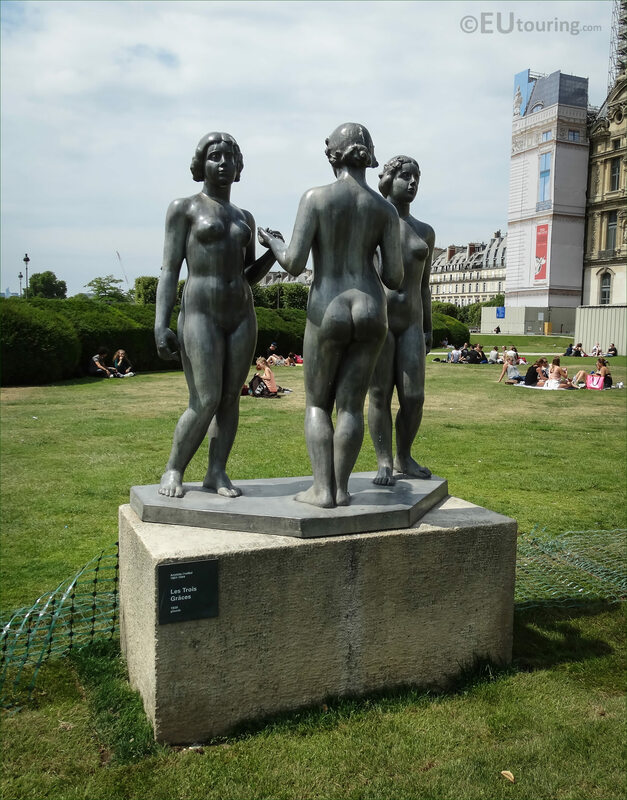 This first HD photo shows the statue group called Les Trois Graces, which in English translates to the Three Graces, and this was a work that the artist Aristide Maillol worked on initially in plaster from 1931 through to 1937, with the statue group you can see here, being cast in lead in 1938. 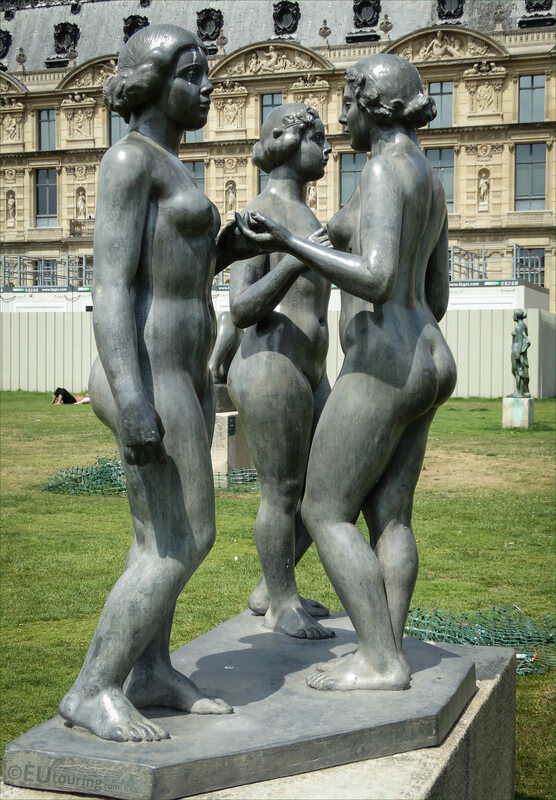 And even though it is called The Three Graces, which is based upon a historical composition, Maillol declared that they were the three nymphs of the flowery meadows stating they were too powerful in their form to represent the Graces, and he chose lead for the casting, because he felt that bronze would be too dark for the characters. 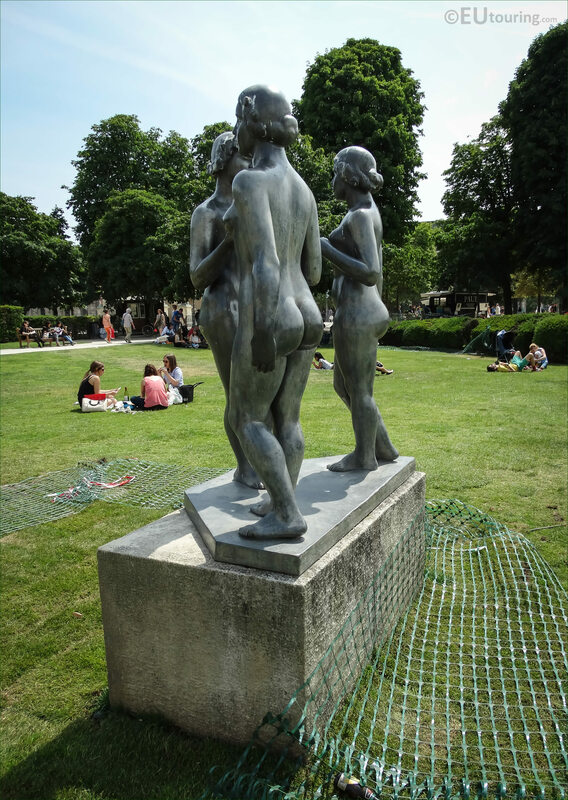 Yet this next photograph shows two of the women from behind, and according to the Tate Gallery the central female figure is actually Lucille Passavant, who was a pupil of Aristide Maillol and modelled for him for this particular statue group, and she became a well known sculptor in her own right. 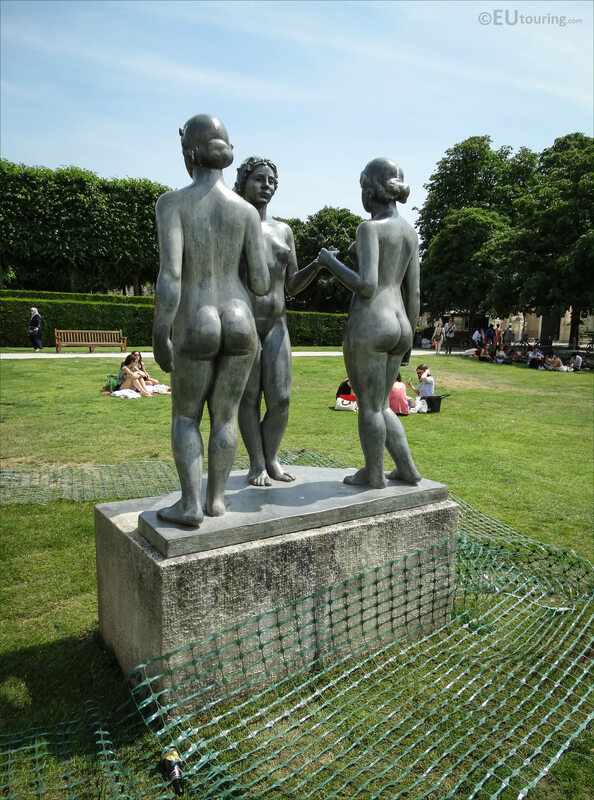 But it was all due to Dina Vierny, who was the muse of Aristide Maillol for the last ten years of his life, that you can now see Les Trois Graces along with many of his other statues within the Jardin du Carrousel in the Tuileries, as she donated these to the City of Paris in order to promote his work for future generations to enjoy. 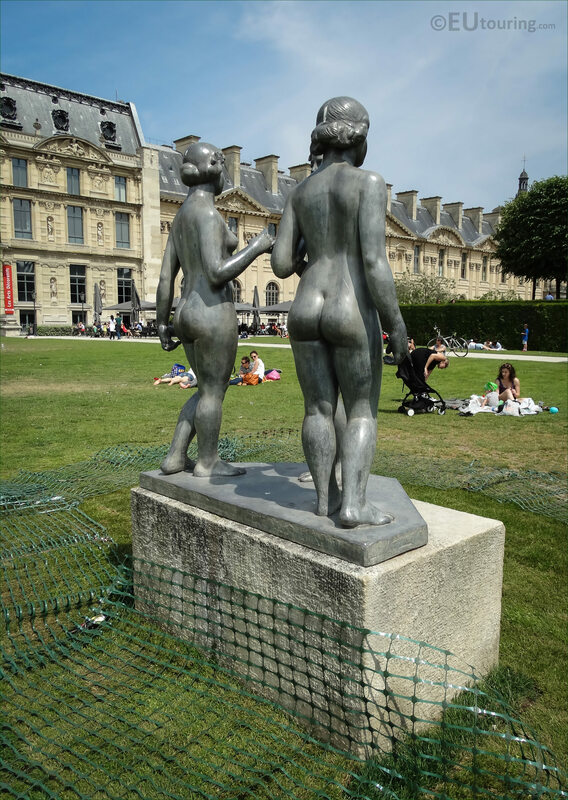 And it was actually the French Minister of Culture, Andre Malraux, that chose the location right by one of the most famous tourist attractions in Paris of the Louvre Museum that you can see in the background, and these statues by Maillol were put in place here in this historical setting in 1964. 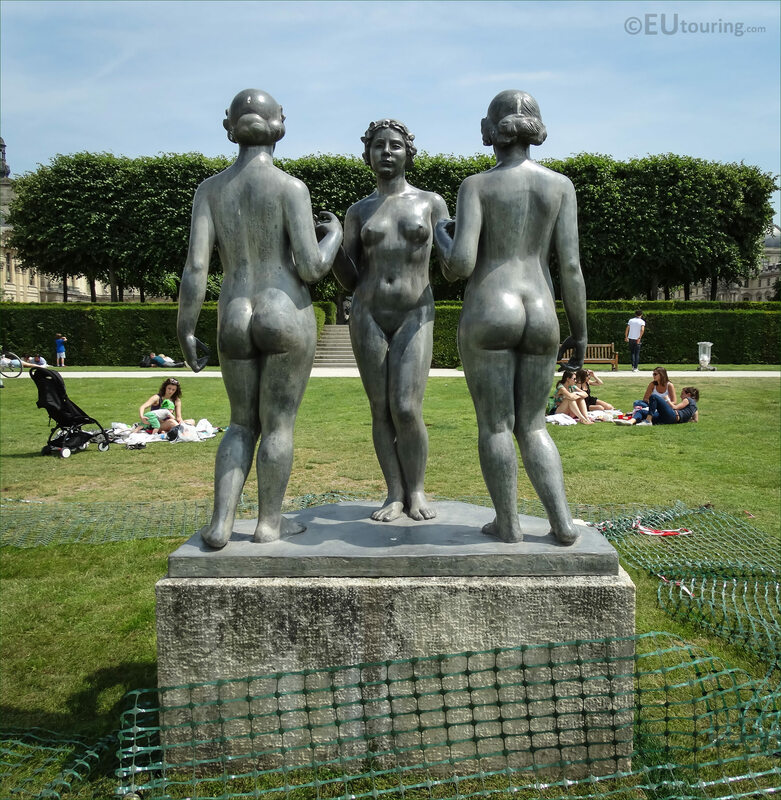 Now, in Greek mythology there were Three Graces who were the daughters of Zeus, the King of the gods, and the Oceanid Eurynome, with Aglaea being the Grace symbolising Beauty, Euphrosyne, the Grace of Delight and Thalia was the Grace of Blossom, but another name for these in mythology is Charites. 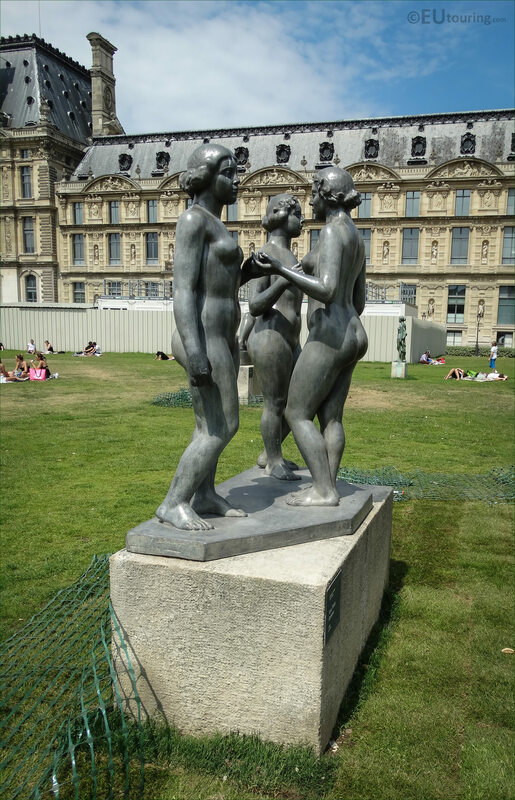 So, Les Trois Graces, or The Three Graces have been depicted over the centuries by many famous artists including Raphael, Botticelli, Rubens, Picasso, and of course Maillol, which is the sculpture you can see here, even though he referred to them as three nymphs. But these mythical Goddesses are often shown as though they are dancing or forming a sort of circle, as in mythology they were usually attending the Greek Goddess Aphrodite and her companion Eros and loved dancing in a circle to the divine music of Apollo, which is very similar to the composition of this statue group. 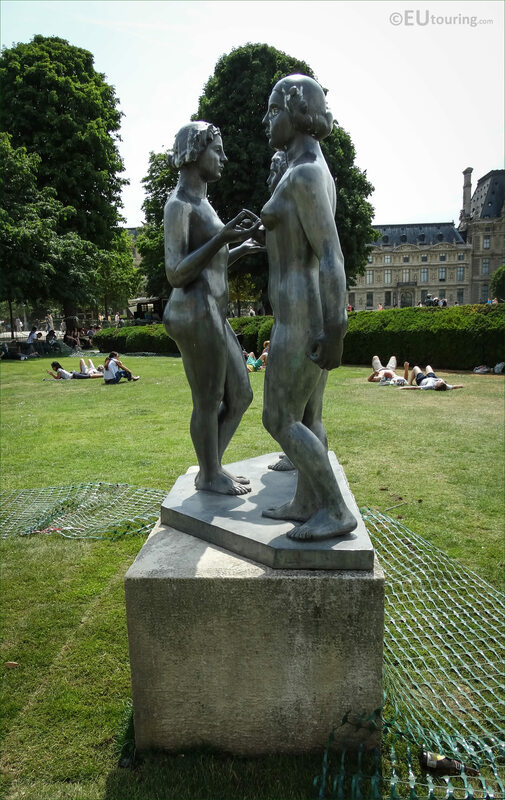 Now Aristide Maillol was born in Roussillon on 8th December 1861 and went to Paris in 1881 to study art, initially becoming a painter, then going into designing tapestries, before becoming a French sculptor, with his first major statue being produced in 1902, and from this time he started focusing on the female body in a classical style with smooth and pure forms, just like you can see in this photo. 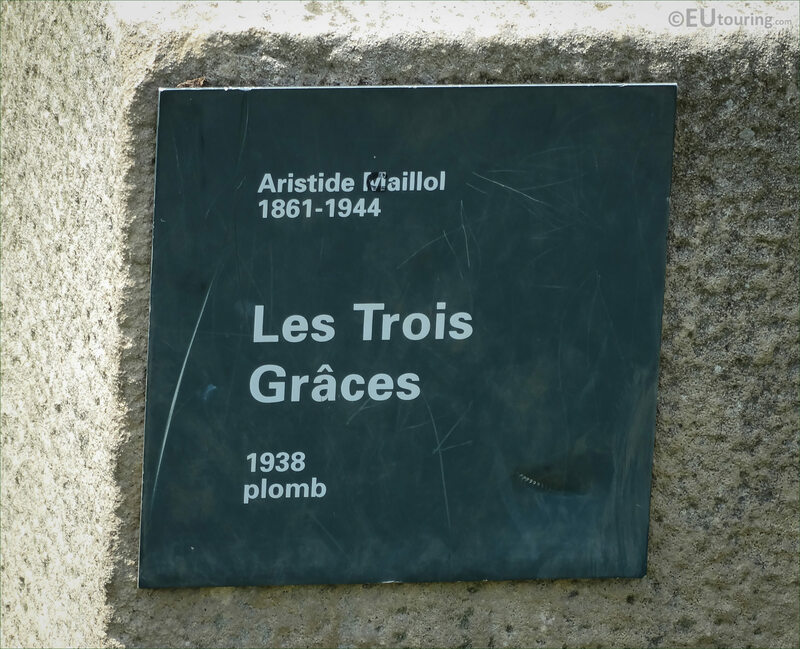 And Aristide Maillol produced numerous different statues of women, often naked and more often than not with their hair tied back, like you would have seen in the above pictures, and according to some sources there were six of Les Trois Graces sculptures cast in lead in 1938, which as you can see from the plaque in this image, was only six years before he died in a car accident in his home town of Banyuls on 27th September 1944.